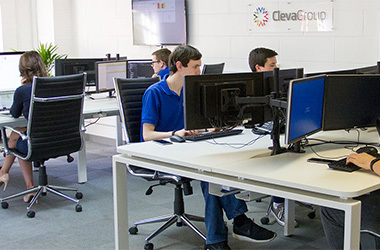 Located centrally in Hertfordshire our main office is ideally positioned to offer fast onsite IT support response to businesses in Welwyn Garden City. We’re already providing IT support for many businesses in Welwyn Garden City. Ever since its inception as a garden city in England (founded 1920) and one of the first new towns (designated 1948), Welwyn Garden City has attracted a strong commercial base. Welwyn Garden City’s proximity to London (approximately 20 miles from Kings Cross) makes it a convenient commuter town. With excellent transport links including bus, coach and train the attraction for business location is clear. Welwyn Garden City is also well-served by major arterial road routes, namely the A1(M) and the A414, which allows us to be minutes away from of all the major Hertfordshire towns. Within easy reach of customer sites providing rapid onsite IT Support when required. 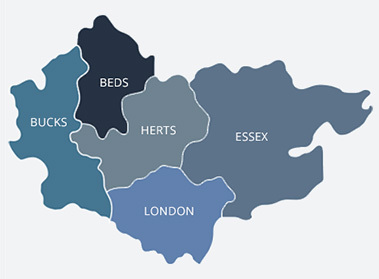 Our expert technical support is delivered throughout Welwyn Garden City via our true, Hertfordshire based live helpdesk. No call back service, an average wait time of just 13 seconds, direct access to our skilled and qualified engineers and an average first call fix rate of over 80%. We’re experts at providing IT Support, we know Welwyn Garden City, we know Hertfordshire, we know your business. With local engineers living in Welwyn Garden City experienced and accredited up to Microsoft Gold Partner, Tier-1 CSP Partner, CompTIA Managed Services and 3CX Platinum Status, we have what it takes to offer you the advice you need. So, if you have a business in Welwyn Garden City and are looking for first class IT Support in Welwyn Garden City or the surrounding areas? We would love to hear from you. You can send us your requirements using our Quick Quote form or talk to one of our experts today on 03333 448 300 (Option 2).